Aspect Line Setting with Asc switched off. Asc and Jupiter selected. Note only the ticked Asc can be seen in the table. Note also the colour of the background, indicating that the Aspect Line Selection setting that does not allow the Asc aspect line to be shown is overridden for filtered aspects. 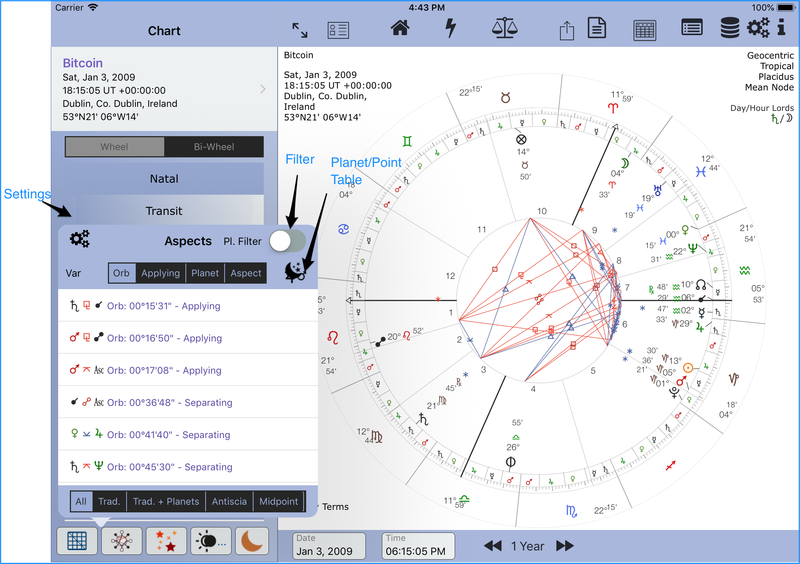 The aspect table shows those aspects that a planet can traditionally cast an aspect to. 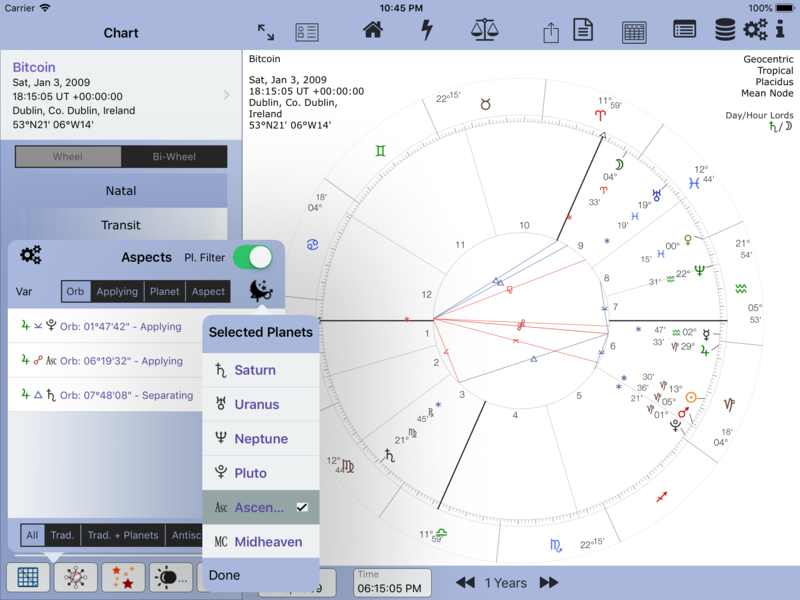 For example Venus can cast aspects to Jupiter, Saturn and so on. Neptune to Pluto only. 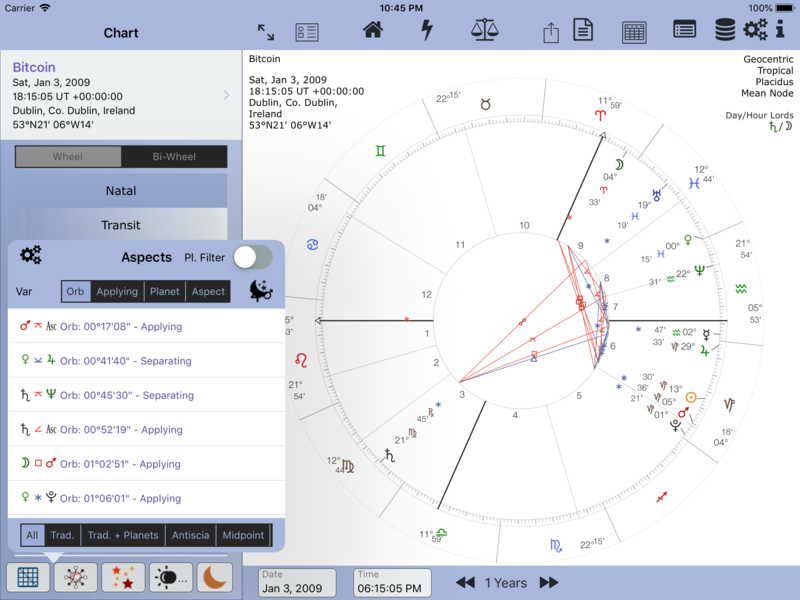 However, the chart lines show all associated aspects as well. 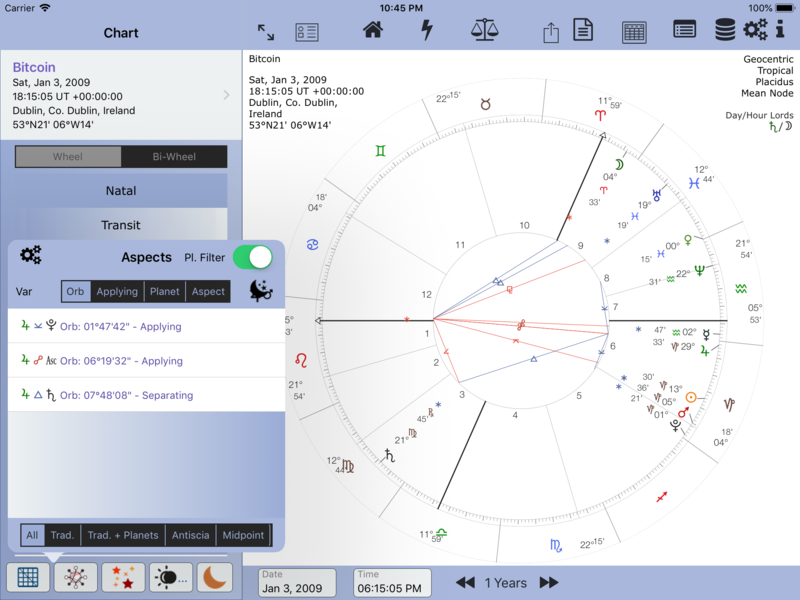 For example a filtered Asc will show an aspect to the Node in the aspect table but generally planets aspect points, so selecting the Asc to filter may not show any aspects in the Aspect table. The chart will. Filtered Aspect settings and Filtered Selected Planets/Points are saved. Please note: filtered aspects not available for the full landscape long-press Aspect Table view. 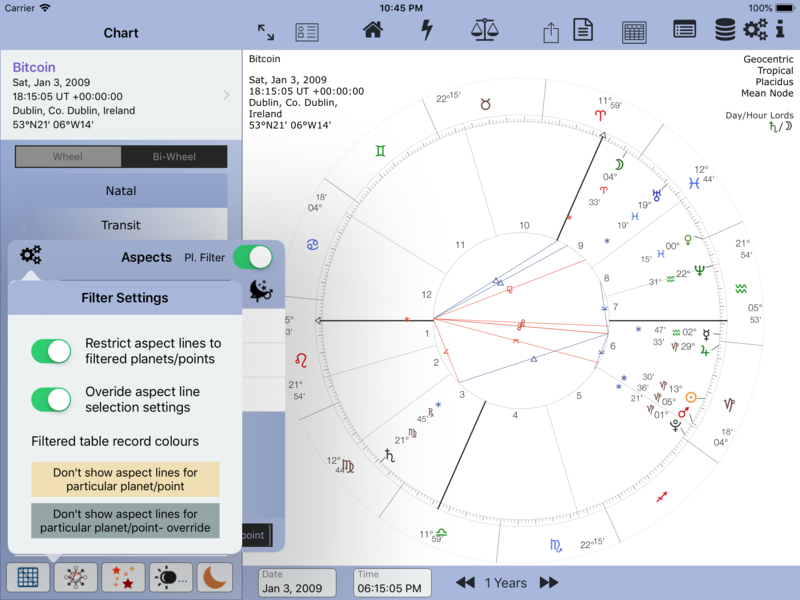 Aspect lines to the Asc and MC now available – selectable. On by default. 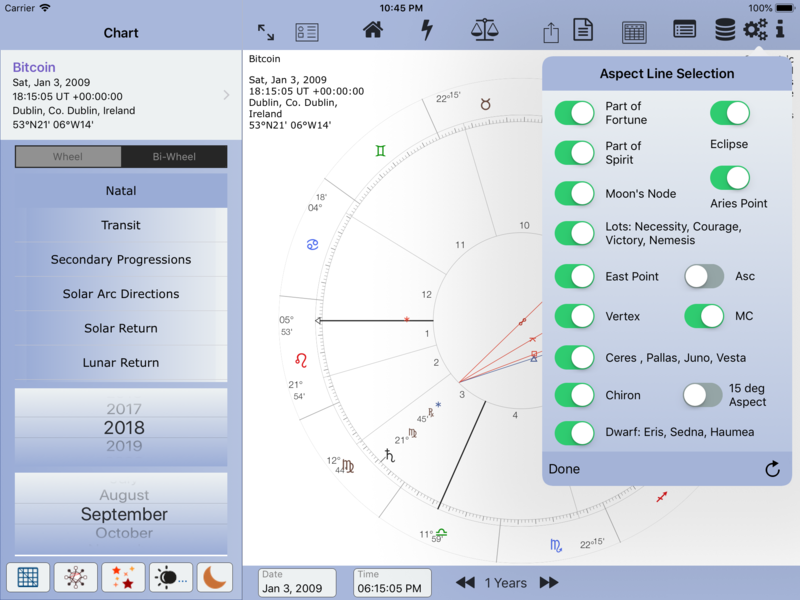 See Aspect Lines Selection screenshot above.